New research suggests that diets filled with fibre can not only support the health of your gastrointestinal tract but also your immune system. And as the Queen of Fibre, I love this kind of information! Add water, milk and dates into a small saucepan, heat on medium heat until it begins to gently boil. Whisk in oat bran (this will prevent it from getting lumpy) let it gently boil, whisking occasionally, cook for 3 minutes. In two separate bowls: add 1 Tbsp of ground flaxseed into the bottom of each bowl, divide the hot oat bran in half spooning into each bowl, top each with 1/2 a sliced banana. Oat bran is the outer layer, aka the bran, from an oat kernel. It is high is soluble fibre and B-vitamins. Although technically not a whole grain it is still considered a whole grain because it is loaded with nutrients including: iron, magnesium and selenium. It’s major claim to fame lies in its fibre content. One serving made with 1/3 cup raw oat bran yields 4 grams of total fibre, approximately half of that is soluble fibre. 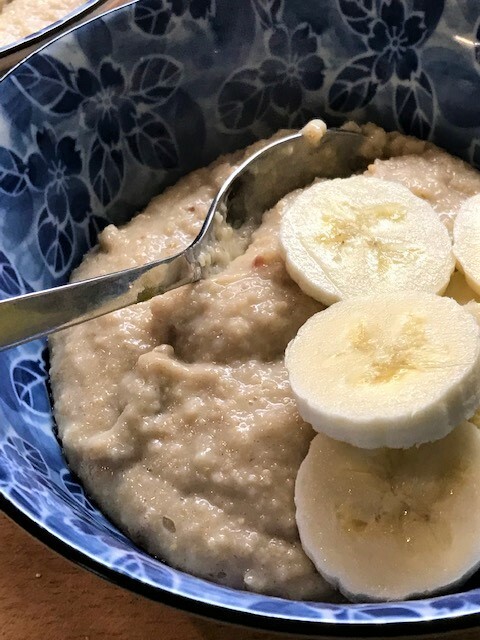 To help reduce cholesterol you need 3 grams of soluble fibre per day, my recipe above, which includes banana, dates and flaxseed provides your body with 3.2 g of soluble fibre. You can find oat bran in the cereal aisle where they sell oats. There are several brands sold in Canada including: Quaker, Rogers and Bob’s Red Mill. Also available at most health food stores or bulk stores. 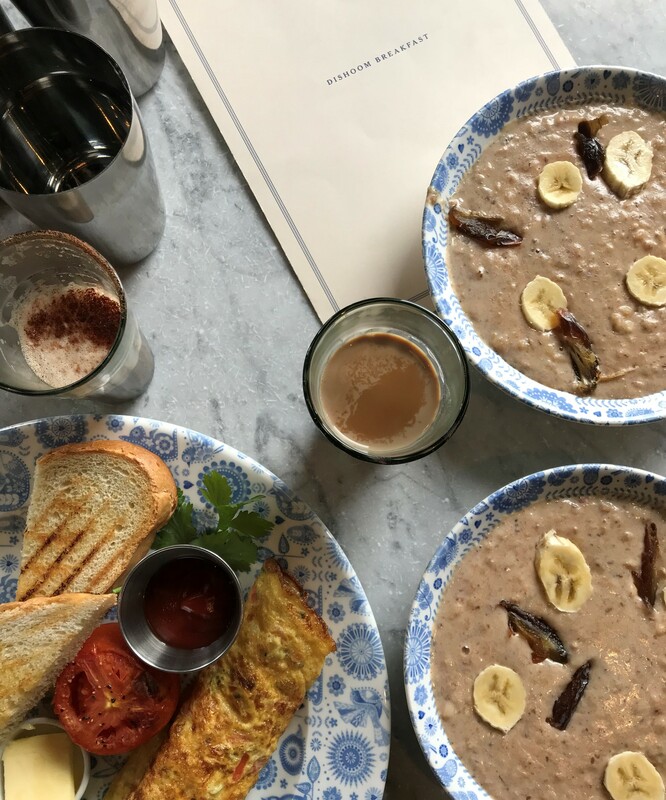 I was first inspired to make a hot oat bran breakfast after eating something very similar at Dishoom in Edinburgh. Can I use some other brand of dates ? Not sure of the spelling but I have the ones I use to make my cashew milk. Does the date dissolve or just blends in? If I do not habe dates could I substitute with honey? Bless your heat for your kind words. I’m planning a Facebook Live for the new year! And you can use any date or any “milk” you like, but the level of sweetness will change accordingly. I do it all the time, you have to add more milk the next day when you reheat it. What would the serving be for a type 2 diabetic? I would leave off the dates because of high sugar content. I prefer tea mugs or breakfast cups. They hold more. I’m going to try this one. I love hot breakfast. I didn’t even know I typed that incorrectly! I have been microwaveing oat bran got a few years. 1/3 oat bran 3/4 cup milk 1 1/2 mins, stir and add another 30 seconds! I use pumpkin and sunflower seeds, ground flaxseed, hemp heats, a sprinkle of cinnamon and dried cranberries for sweetness! Excellent! I’m glad you are enjoying the joys of oat bran!